Italy fell into recession at the end of 2018, capping a year of political turmoil, higher borrowing costs and fiscal tensions that took their toll on the economy. Output contracted 0.2 per cent in the three months through December, following a 0.1 per cent fall in the previous quarter, statistics agency Istat said Thursday in Rome. The year-end shrinkage was greater than expected. 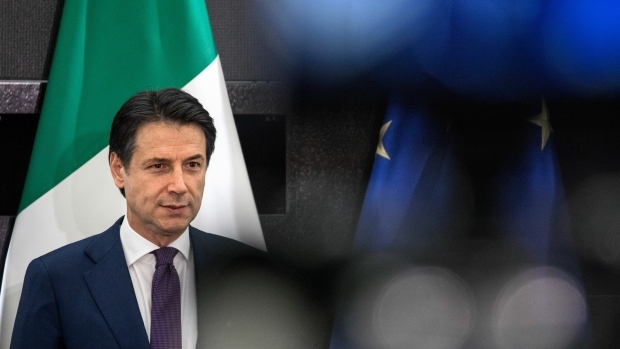 Premier Giuseppe Conte said Wednesday that he expected the fourth-quarter shrinkage, speaking in Milan a day before the official announcement. Investors have been warily watching Italian economic performance following weeks of negotiations with the European Union over the government's budget that pushed up bond yields. The latest round of bad news is likely to test market confidence in the government's expansive program for 2019. The fourth-quarter contraction was greater than a median estimate in a Bloomberg survey of 28 analysts that called for a quarterly shrinkage of 0.1 per cent. The economy expanded 0.1 from the same quarter of 2017, while the full-year growth totalled 0.8 per cent on a work-day-adjusted basis. The December unemployment rate fell to 10.3 per cent, Istat said earlier in the day. Both the Bank of Italy and the International Monetary Fund project 0.6 per cent growth in Italy this year, less than half the forecast pace of the 19-nation euro zone. In Spain, the economy registered 0.7 per cent expansion in the fourth quarter, according to numbers released Thursday morning. Rome and Brussels agreed on a revised spending plan following the tensions between the two sides. That includes a downward revision of the 2019 deficit target, while Rome has kept a lower retirement age for some workers and income support for the poor. The Italian numbers come amid increased pressures on the euro area due to the global slowdown. The German government says the country's economy will expand 1 percent in 2019, the slowest pace in six years. Still, Italy's government is looking for a major boost from its economic program, aiming to increase employment while letting thousands of workers retire early.